When your horse club or organization raises money, the members can participate in extras like horse camp, attend out-of-town events and purchase tack and supplies for upcoming events. Whether fundraising is ongoing or a one-time event, you and your co-members can make it successful. 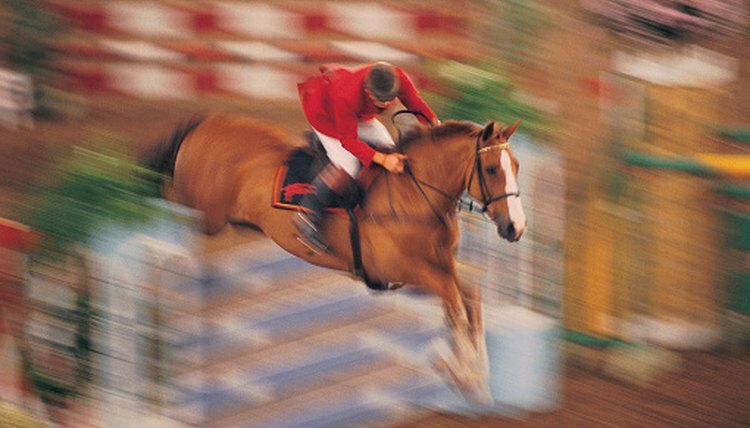 To host an open horse show there are several components to be considered. You must determine where to have the show, what insurance you will need to hold the show, what kind of a show and how much to charge to make it a success. If the show is just for fun show, it could include costume contests and spoon and egg races. The prizes can be donated merchandise like horse-care products or silly items. If the show is to be a serious competition like gaming, jumping or equitation, the prizes need to be ribbons, trophies or horse tack. The prizes can reflect the entrance fees. Your group can put together a community event calendar for the upcoming year's equine events, and sell advertising to be included in the calendar as well as selling the calendars. Start by contacting all of the local horse groups, clubs and organizations to get their upcoming year's schedule to include in the calendar. Next ask different businesses and companies if they would like to buy advertising space in the calendar, which will be bought or distributed to local horse people. The calendar can either be put together by a person in your club who is proficient in graphic design or taken to a local printer. The calendar will then be printed to sell or distribute to horse people. A clinic is a demonstration of a skill or knowledge presented by an expert or professional in the field. Some ideal clinics to host for horses is a vaccination clinic, proper saddle fit clinic or training clinic.You will need to choose the type of clinic to be held and find an expert to give the clinic. Some professionals like a veterinarian may donate their time for the organization and the opportunity to plug their facility; others, such as a horse trainer, may insist on a fee to give the clinic. As the host you will charge a fee for attendance, provide insurance if needed and the venue for the clinic. Many people attend horse shows as riders, parents and spectators, so providing food to these people is an ideal way to raise funds for your group. Permits for food service and food handler cards may need to be obtained before taking on a concession stand. You will need to purchase the food, paper goods and supplies, although you may be able to get some of the items donated to start or as an ongoing donation. Your group will set up at horse shows and prepare and serve the food.